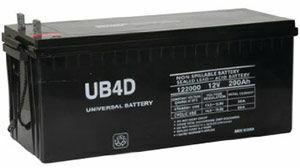 Do you have questions about our UPG batteries, or questions about solar in general? Give us a call at 1-800-472-1142. 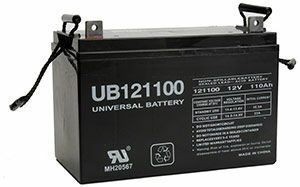 The UB-12900 by UPG is a 12 volt, valve regulated, absorbent glass mat battery. Absorbent glass mat (AGM) batteries offer a few key advantages over flooded lead acid batteries, including: spill-proof performance in any position, better performance in high-power applications, and no need to maintain the water level. 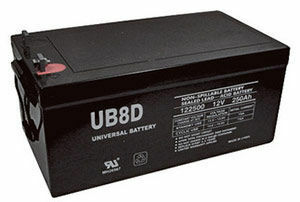 Like all batteries, the lifespan depends on how well they are managed. 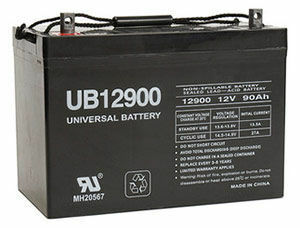 The number of cycles a battery can handle depends on how much of the total capacity is discharged before being charged again. 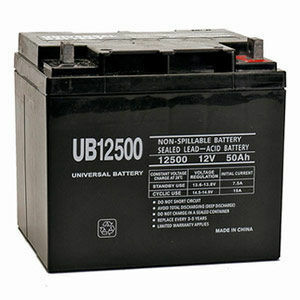 The UB-12900 batteries should not be discharged completely and should be recharged fully between cycles.